All-new Audi Q3 revealed, & it's India-bound! All-new Audi Q3 revealed, & it’s India-bound! 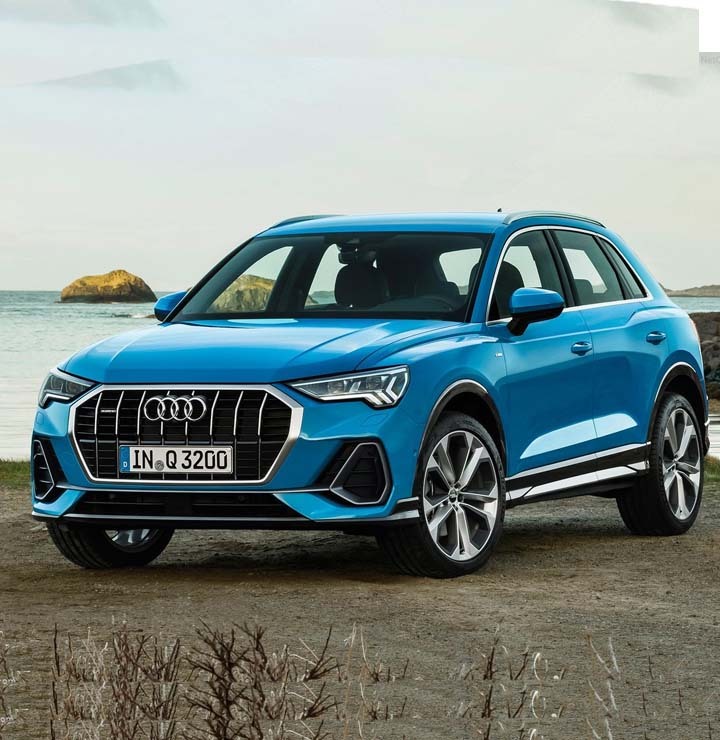 Audi AG, the renowned Volkswagen Group-owned German premium car manufacturer, has finally unveiled the second-generation of its Q3 SUV. The all-new Audi Q3, which will lock horns with the likes of BMW X1, Mercedes-Benz GLA and Volvo XC40, is India-bound and will launch here next year. In India, the Q3 is the smallest SUV from the Ingolstadt-based car marque. Internationally, however, the Q2 is the smallest Audi SUV on offer. Compared to the Q2 and its outgoing version, the new Audi Q3 is not only better equipped but also boasts a more matured design. Talking about the design, the front-end of the new-gen Audi Q3 has a clear resemblance with the Q8 flagship SUV. The recently unveiled SUV gets a sleek pair of headlamps, a bold front grille with vertical slats, and a sporty bumper. Compared to the earlier version, the new Q3’s front-end looks substantially bolder. The top-end trims will get matrix LED headlights with adaptive beam technology. In the side profile, the SUV looks a bit like the version it has just replaced. The lower end of the SUV gets a black cladding, which makes the SUV look a tad more rugged. The SUV will be available with a range of wheels ranging from 17-inch to 20-inch. Even the rear looks like an evolved version of the earlier model and impresses with its well-sculpted surfaces. On the inside, the new Q3 is more spacious than the earlier version, which is mostly because of the increase in the overall length and width of the SUV. As we said, you also get a longer list of features. Equipment on offer includes bits like park assist, 360-degree camera, and pedestrian detection system. 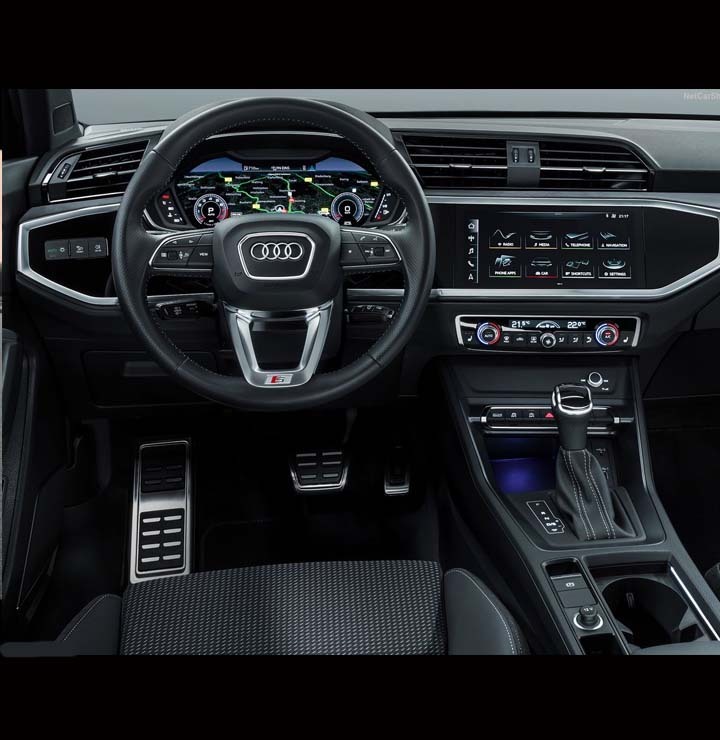 While the lower trims get a 10.25-inch instrument cluster, the higher variants benefit from an optional Audi’s Virtual Cockpit. 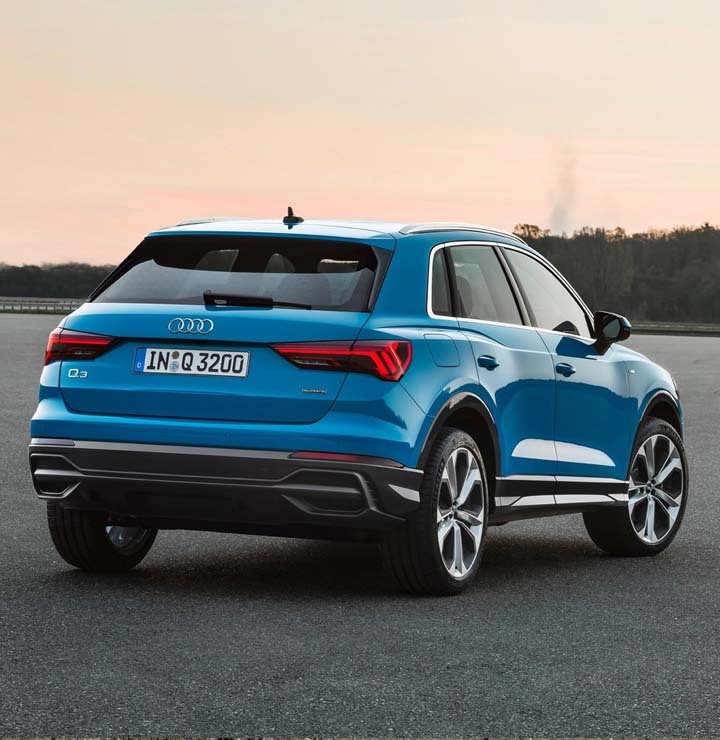 The new Q3 will also offer Apple CarPlay and Android Auto smartphone connectivity options. The all-new Audi Q3 SUV is underpinned by Volkswagen Group’s MQB platform. The entry-level variant is powered by a 150 hp, 1.5-litre turbocharged petrol engine. There’s also a 2.0-litre turbocharged petrol engine that will be available in two states of tune – 190 hp (40 TFSI) and 230 hp (45 TFSI). The diesel engine on offer will be a 2.0-litre turbocharged motor that outputs 150 hp for 35 TDI and 190 hp for 40 TDI. Expect the 2.0-litre petrol and diesel engines to make it to India in the lower state of tunes.